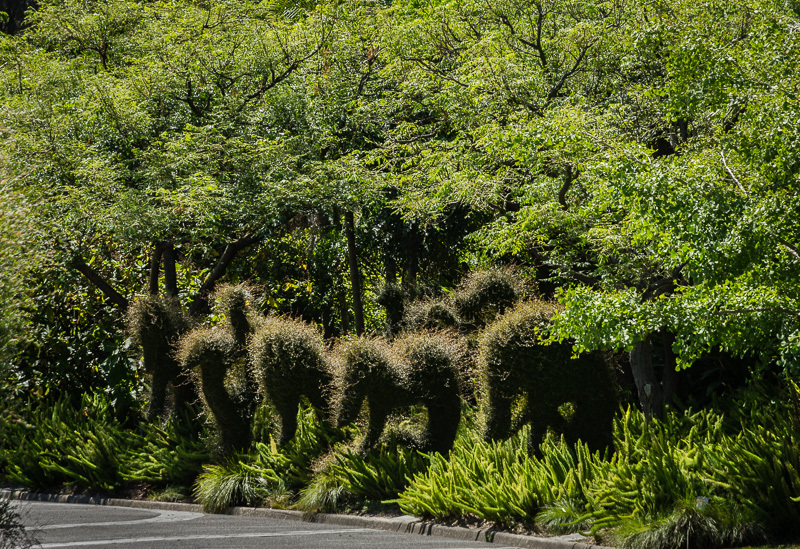 For the child in all of us, and a happy reminder of spring in Melbourne - lush greens and fantastical creatures by the entrance to the Ian Potter Foundation Children's Garden in the Royal Botanical Gardens. The topiary shapes were (I think) made with Muelenbeckia complexa or pohuehue - our somewhat unruly, potentially invasive and very determined native twining plant sometimes known as wire vine. The backlighting emphasised how they were due for a haircut!